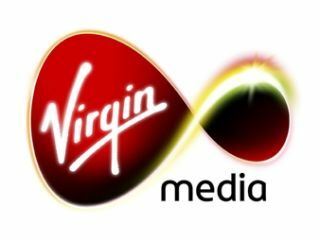 Virgin Media has announced a partnership with Google to power its email service, to enable better inbox management and more storage space. Available to the first 20,000 to sign up today as a pilot, the service will eventually be available to all customers in the near future, with up to 10 @virginmedia.com addresses allowed per user. Virgin is claiming that all the bits that make up Google's Gmail service (such as easier message searches, mobile management and virus and spam control) will be available for its emailers, thanks to the use of Google Partner Edition Apps, which allows companies to use Google's services under their own domain name. Google chat and threaded email, already part and parcel of the Gmail experience, will also be ported over for Virgin Media users. Those that already have a @blueyonder.co.uk, @ntlworld.com or @virgin.net email address will be able to keep their domain or choose to sign up for a new @virginmedia.com email address, but all will be ported over to make use of the new Google collaboration. "With email so important in everyday life, we're delighted to be working with Google and launching a brand new, feature-rich and easy to use email service," said Alex Green, Executive Director of Online for Virgin Media. "We look forward to exploring future services with Google and continuing to deliver market-leading communications and entertainment to our customers."